No Cover Charge! FREE Tacos! Discount $2.50 Beer & Drinks! It’s like stepping into a time machine. 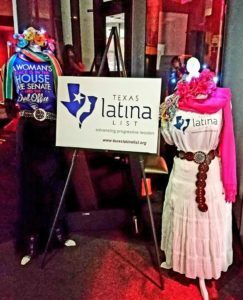 Progressive Candidates FLIP Texas & the U.S. Congress! 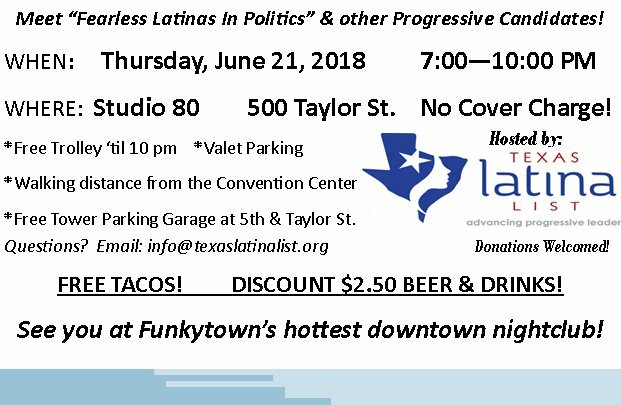 DONATIONS Always Welcome to support of our Mission to increase the representation of progressive Latinas in elected and appointed office. – Walking Distance from the Convention Center and the Omni Hotel. – Free Tower Parking Garage at 5th & Taylor St.